Newby to Pro – Customer Care Club – Let’s get you started! The utility cart keeps all attachments accessible and at your fingertips. You know when you’re in a hotel and the housekeeping staff comes down the hall with their fully loaded cleaning cart? 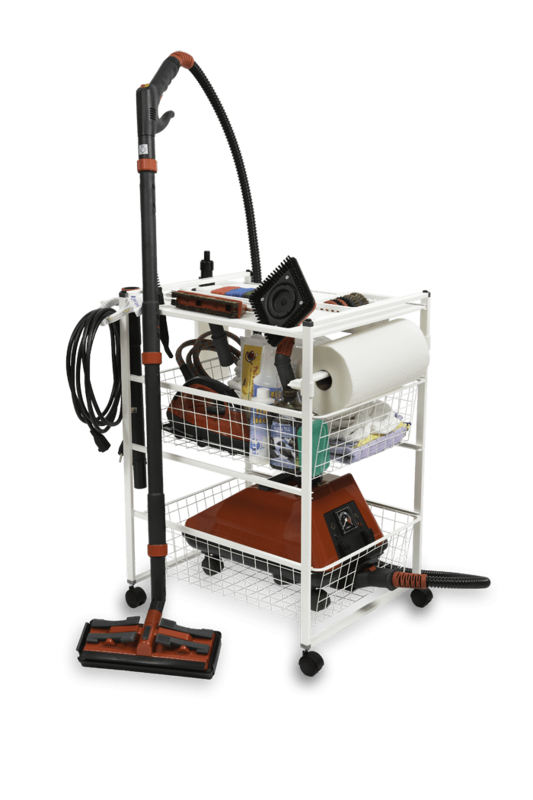 Our cart does this for you at home – it keeps you organized, efficient, mobile and eliminates back-tracking or hunting for tools you need as you move from room to room. As you move from the bathroom to the kitchen, you still have all the right attachments, brushes, cloths and tools at hand on your mobile work station. The cart protects your steamer from banging into things, too. When not in use, you might store it next to your vacuum, in your kitchen pantry, in a coat or linen closet, utility room, or maybe in a spare bathroom. No soaps, No oils, No chemicals, etc. This steam cleaner produces extreme heat – nearly 300 degrees. Use with caution. Do not burn yourself or melt surfaces. Steam rises – keep hands/face at safe distance. This steamer functions under tremendous pressure. Slowly remove cap ONLY after gauge reads 0 and all steam has been released through the hose OR when machine is completely cool. WATER ONLY! Never put anything but water in your steamer. No soaps, oils, fragrances, chemicals, descaling solutions, etc. It damages the ink-alloy coating. Evidence of ANYTHING other than water in tank voids warranty. Do not let water soak electronics, gauges or insulation. Always use the filler bottle. Do not immerse steamer or hose in water. Attachments/brushes may be submerged. Do not allow your steamer to roll around in your car, bang into walls or fall off an elevated surface. When was the last time you earned $100 just chatting with your favorite people? Collect your reward when they buy a Sargent Steam Cleaner! We pay your referral rewards! Friends Don’t Let Friends Clean the Hard Way! Who needs to clean faster – easier – healthier – better – cheaper – greener? Who suffers from asthma – allergies – chemical sensitivities – other special needs? Who is currently (or will be) undergoing chemotherapy or radiation treatments for cancer? Who has a compromised immune system – can’t tolerate germs but also can’t tolerate chemicals? Who loves to clean? – Who hates to clean? – Who hires someone to clean for them? Who loves good tools and knows the better the tool, the better the results? 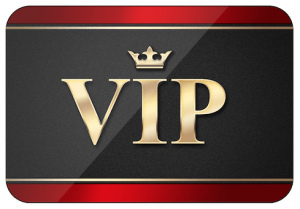 and it’s FREE so join our exclusive VIP Customer Referral Program today! Call with your referral list1-800-SGT-STEAM Start earning hundreds instantly! Use extra extensions to reach higher. If you must work with it elevated, disengage wheels or strap into place. In winter months when window glass is very cold, warm it by steaming from a distance of 3” before touching glass directly. Move quickly to clean wallpaper, paint, oil-based polyurethane varnish. Move slowly to remove wallpaper, paint or varnish. Move quickly when cleaning leather. Test color-fastness in an inconspicuous spot. Should color fade at all, make sure steam is delivered from a 3” distance. Microfiber furniture may be steamed directly with great results. Spray your cloth with steam and then wipe LCD panels. When cleaning soft stones (pearls & opals) deliver steam at a distance of 2”. Limit exposure to 15 second intervals when using the Plumbers Helper on thin PVC P-traps – they may warp. Galvanized and copper pipes can tolerate longer exposure. Supervise children – teach them how to steam safely or detach the hose and keep it out of reach. Anyone who can safely use a stove or curling iron can be taught to safely use a Sargent Steamer. 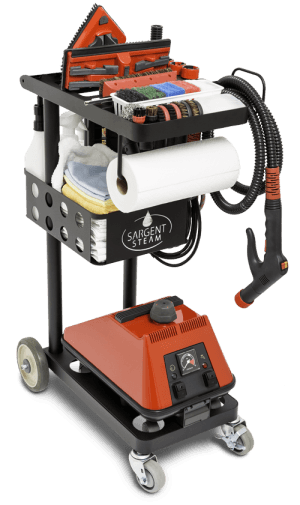 When lending your equipment, make sure you give your friend good instructions and a Friends Referral coupon so they can buy a Sargent Steam Cleaner of their own! WATER ONLY! Never put anything but water into your steamer tank. No soaps, oils, fragrances, chemicals, descaling solutions, etc. These damage the tank and clog the valves. Evidence of anything but water in the tank voids your warranty. Do not transport steamer with the hose attached or with the electrical cord dangling. Do not pull your steamer by the hose – especially when it’s hot and pliable. Reattaching a pulled-apart hose is not covered under warranty. Do not pull electrical plug out of the wall socket before turning off the power switch. Do not pull the plug out of the wall from an angle. The ground post will not bend. Do not steam near your smoke detector – it detects steam vapor as smoke. Do not let steamer freeze with water in tank. Expanding ice may cause tank to leak. Do not deliver the steam to one spot for too long on wood floors or cabinets. Do not use steam directly on water-based varnish. Test an inconspicuous spot first. Do not touch thin vinyl blinds directly with steam – they will warp – just spray & wipe. Do not steam suede or velvet directly – damage to the nap may occur. Do not spray steam directly into electronics especially LCD panels (microwave oven).